Perhaps, though certainly longer term I don’t think Labour will be as strong as that due to riverside gentrification spreading south. The redevelopment of Elephant & Castle, for example, will make a considerable difference. It won’t be anything like as safe as Pekham, though Labour will hold on easily enough with more than 40% of the vote. My guess is now that Hughes has been seen off, a long-overdue defeat given his history on sexual politics, Labour will re-establish themselves in this seat. What is likely to happen here at the next boundary changes? Once you get away from the river frongt this part of London has dire, soulless, post-war blocks of flats. Not exactly appetiizing places to live. Increasingly that’s less true nowadays, see my comment on Elephant & Castle. On a different subject, the white British population of London was 60% in 2001 and 45% in 2011. If the same trend continues, the figure will have just dropped below 40%. The change in population may even had speeded up compared to 2001 to 2011. If the Lib Dems do implode here with the departure of Hughes I wonder which wards the Tories may start to get councillors in/become competitive with Labour? Surrey Docks is probably a certainty, perhaps Riverside too and maybe one or two others? I guess it depends how much of the Lib Dem vote was Tory inclined tactical votes. It may depend upon whereabouts companies from tax havens get the local council to make compulsory puchases and then build luxury flats for the stinking rich in place of much needed council flats. Surrey Quays certainly seems to be a likely possibility. The last boundary review merged this seat with the neighboruing Lewisham Deptford seat. Thanks, Christin. I guess the next review may well recommend the same thing. Sorry for the typo, Christian. In 2013 aborted review there was a Bermondsey and South Bank seat with 70% of this seat along with 22% of Harman’s seat and 9% of Vauxhall. The government’s partisan measure to bring forward the full implementation of individual registration by a year (so the boundary review takes place on a smaller register), will lead to a loss of a seat in south London compared to last time, despite the rapidly growing London population (much of which is of course ineligible to vote at parliamentary elections). Therefore this is one area in which the seats proposed are likely to bear little resemblance to last time, given that the size of London wards provides major constraints in meeting the 5% tolerance. Very unlikely. Hughes almost certainly won’t stand again. This will revert to being a very safe Labour seat – Labour will be well over 50% and the Tories might squeeze into 2nd place in the low 20s. Corbyn won’t be a drag on Labour here. Keep an eye on whether the Lib Dems hold their council seats here in 2018, if they lose most or all of them the scenario I envisage is quite likely. I’m not really sure, it depends how much of the LD vote is personal for Simon Hughes and wouldn’t expect him to stand again. I’m honestly not sure what will happen in 2020. I would guess Labour could be up at 50%, with the LDs a relatively distant 2nd on around 25%. On the other hand if you apply the swing from last nights by election in neighbouring Faraday ward (which backs on to the constituency) from 2014 to this seat, it would be on a knife edge in 2020 so the LDs may still be up for a fight even with a new candidate. Dalek’s prediction is just about credible apart from a rise in the Grn vote. This is a rather pointless exercise four and a half years out. Without Hughes I’d expect it to revert to an entirely safe LAB seat, much like Brent Central did without Sarah Teather in 2015. But really it is silly to make predictions – especially predictions involving numbers – this early. The difference here compared with Brent Central is the gentrification along the river. There is a lot of latent Tory potential which could get them 20-25% of the vote if the Lib Dem tactical votes unwind. There are certainly some very nice parts of this seat along the river. But how many people live there? Holborn and St Pancras also has many nice looking parts but it is the council estates that have the votes. I expect Bermondsey is quite similar. To be honest I wouldn’t be surprised if the Lib Dems do implode and the seat reverts to being very safe Labour with the Tories second. Though the indication the Tories could get second next time depends on if they can win any council seats in 2018 (Surrey Docks being their best opportunity) and if the Lib Dems are annihilated locally or not. Boris Johnson carried most of the riverside wards in 2011. In the council elections in 2014, these were the only wards held by the Lib Dems with the Conservatives competitive. Without Simon Hughes, it is quite likely the Conservatives will win the riverside wards and match their success in Tower Hamlets north of the river. Labour will still hold Southwark comfortably. I think they will be wiped out pretty much everywhere with the exception of the outposts in Surbiton/Chessington, Central Sutton and North Carshalton. Maybe a few in Twickenham too. Quite a lot now. There is huge redevelopment going on all the way from Rotherhithe up to London Bridge. The nice bits of H&SP contains a very substantial arty/media/academic element which is broadly quite hostile to the Tories (though note the Tories still manage more than 20% of the vote there). That factor is still present around London Bridge to a certain extent but, as in Shoreditch, it is diminishing fast as rents rise and banker types move in. It’s very easy to commute from those riverside flats to both Canary Wharf and the City using the Riverboat service. There’s also the Jubilee Line. Great result for the Lib Dems here. Now obviously local by-elections are weird creatures and very little can be drawn from them but this result must be a bit of a blow for local Tories. With Hughes now gone they would have hoped that the rapidly gentrifying riverside wards of Southwark might be winnable and indeed Surrey Docks was their best bet but with a result like this that prospect is looking distant to say the least. Tory progress at local level probably requires the LDs to lose incumbency, which this result (though only a by-election, where the LDs tend to do remarkably well whatever the national picture) suggests isn’t happening any time soon. The Lib Dems, somewhat surprisingly, actually did well in B&OS in the London elections. For example, Surrey Docks was the best Lib Dem ward in London, and recorded the best increase of any ward in London. It was surprising to me, but this does not look like a party in retreat in the area. Maxim’s post-Hughes 2020 scenarios are laughable. A fall back is not going to be Brent Central-request. Worst case scenario would be around 20%. Even post-Hughes the Lib Dems will be trying hard here – it’s not like there’s a neighbouring seat where they’re strong. Even if, as many suspect, the Lib Dems fall back, possibly considerably, without Hughes, it’s not going to be to the levels you put forward. Greenwich and Woolwich were never Lib Dem held. They were held by members of the continuity SDP who never joined the Lib Dems, and retained their activist bases. A completely different situation. What you write of Hornsey & Wood Green is pure nonsense. The Lib Dem appeal there is / was separate to Featherstone’s, and though I could see the LDs falling back at the next election (as one of the few places where Corbyn actually has appeal) they will clearly remain the challengers. Teather’s seat was caught in a perfect storm. As you say, the appeal there was basically built on her, in the same way as B&OS (though this support has had longer to ‘bed in’) but different to H&WG. Teather virtually disowned the party, and her replacement was then forced to step down over some lobbying issue (IIRC), bringing in a replacement a couple of weeks before the election. Activists were told to abandon the seat and help Featherstone. Without all off this, LD support would probably have been around the level of the Ashcroft poll, ~20%, even without Teather. Even without Hughes, the seat will not be given up on, and while one possible (probable?) scenario is the Lib Dems falling back badly, maybe even to third, your predictions are nonsense. I think the Lib Dems still won around 17% in the London LIST vote. From an LD perspective there are few candidates less suited to picking up tactical Tory votes than Hughes. I don’t really see the Tory improvement in inner London seats that you have speculated about here and on other threads happening. Yes, there are lots of swanky new developments. But the people that move into those sort of places are often either from overseas (and so can’t vote) or urban city-types with liberal anti-Tory perspectives. So you can’t assume every person that lives in a swanky riverside flat votes Tory. Plus, although they stand out visually in most of these constituencies the posh bits are still comfortably outnumbered by crap bits with utterly derisory Tory votes. Bermondsey and OS is probably a classic example of that. The type of development that would be needed to make it a viable Tory target is, if it happens at all, likely to take several decades. The much more likely medium-term scenario is that it becomes a safe Labour seat with the MP getting 50-60% of the vote. 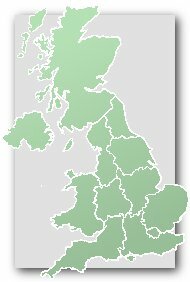 I do think the LD vote is likely to collapse – probably to the 15% region. But the chances are more of that switches to Labour than Conservative. Fair enough. Maybe the Tories can push up to 20%. But I don’t see them doing much better than that. They’ve never shown any signs that there is significant underlying strength being masked by Hughes’ vote in local elections. My point was, Maxim, that the loss of Hughes would not really cause tactical unwind, as he was quite a left wing Lib Dem. Of course his vote could well unwind for those who voted for him for being ‘hardworking’ or whatever. Whilst your prediction there would still be a very bad result for the Lib Dems, it is at least plausible. Surrey Docks had the highest Liberal Democrat vote in the London Mayoral elections out of every single ward in London. This seat is Bermonsley, not any of those mentioned above and we cannot make such assertions before at least the council elections. I wouldn’t use the mayoral election – the LD vote is artificially lowered in a Lab-Con battle, just as the Con vote is at Westminster. The LDs do best in Constituency Assembly (where Surrey Docks was the only ward they won) but List Assembly is probably the best thing to look at. The Tories may have narrowly beaten the LDs in this, but they did in 2012, while Labour may have done so in Twickenham. It’s normal. Also love how you say it’s a poor Tory year (it was so-so) but not a poor Lib Dem one! …vy tactical voting for the Lib Dems which has depressed the Tory vote? Why is no-one expecting the Tories to regain second place there? Firstly, the fact that we actually carried a ward here at GLA constituency level would suggest otherwise. Secondly, this would not happen. Yes it’s a bye election, but it’s also 500 more votes than we polled than the council elections in 2014, on a slightly lower turnout. Yes it’s a bye election but the Conservatives are nearly 1200 votes behind. I’m not suggesting we’re going to win here in 2020, but this at least shows we’re not ‘all about Hughes’. The real indicator will be 2018 council elections. Predictions before then are assertions based on no local evidence. If the tories take Surrey Docks in 2018 (which they won’t) then you may well turn out to be correct. Simon Hughes has announced on the BBC’s Sunday Politics that he intends to stand as the Lib Dem candidate in this seat at the next General Election. I personally think he’s got no chance of winning it back. I’ve always said that once the Lib Dems lose this seat, it’ll be out of their hands for at least a generation. This is now a safe Labour seat. It’s the type of seat where a Corbyn-led Labour Party will do very well at the next General Election. “I think Hughes has an outside chamce with the addition of Bishop’s ward from Vauxhall. Even with the addition of Bishop’s ward, I still think this will be a comfortable hold with an increased majority for Labour at the next General Election. The huge array of social housing along the Old Kent Road and Southwark Park Road will secure their vote here for a long time. I agree that in the long-term, the Tories will be second here due to the several new plush apartments/penthouses being constructed along and near the river bank. The areas around Tooley Street and Southwark Street have changed beyond recognition over the past 5/6 years! It’s also worth noting that The Shard is located within this seat so that certainly won’t do any harm to the Tories vote (although I suspect most of the apartments in The Shard are foreign-owned and therefore the owners are not elgible to vote). 2018 will be a reasonable indicator of how this seat might vote in 2020. Some predict the Libs will start to flounder even in the likes of Surrey Docks now that Hughes is gone, I’m personally not so sure but we’ll see.